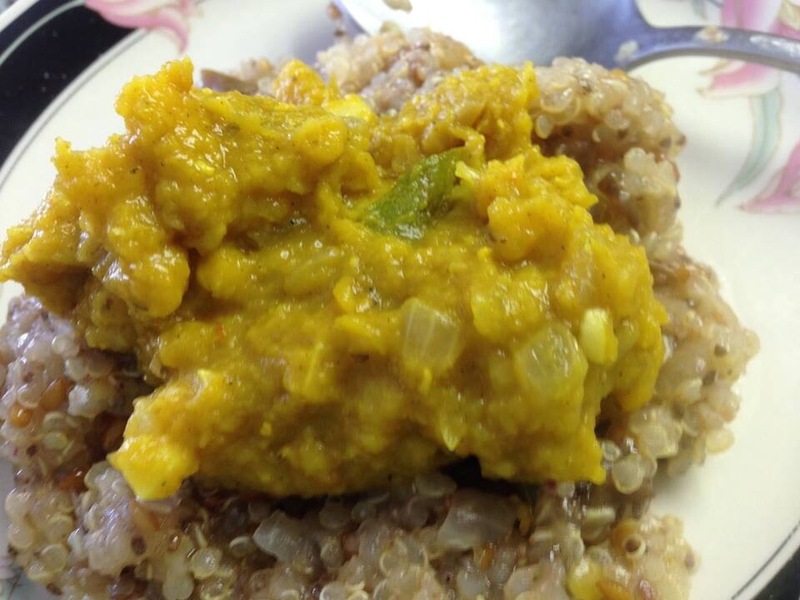 This can-be-vegan recipe was given to me by my wonderful Aunt Cheryl, who has lived many years in Bangladesh. From her and her family, I learned to love the flavors of Southeast Asia, and this is one of my favorite staples! Use grass fed butter for vegetarian or olive/coconut oil for vegan!!! 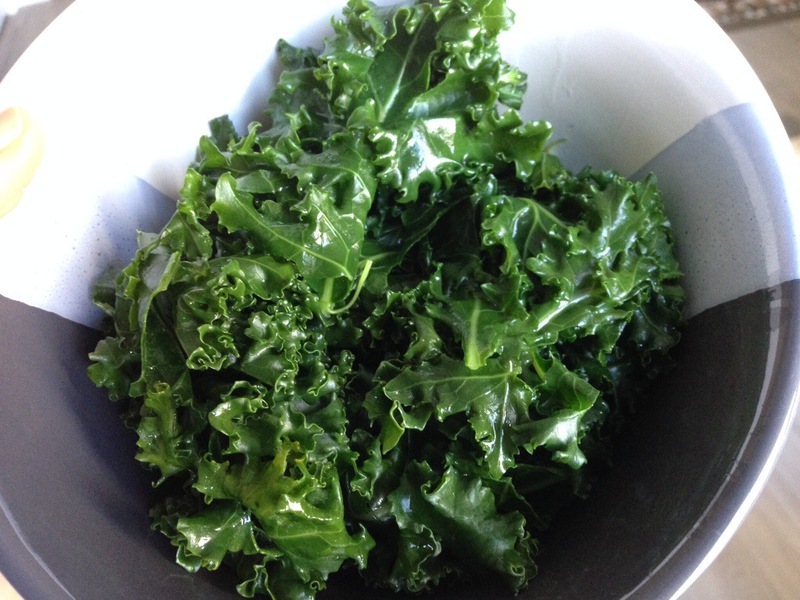 Serving pairings can be with any kind of rice, green veggie (just top it over some steamed kale! ), or grain of your choice. 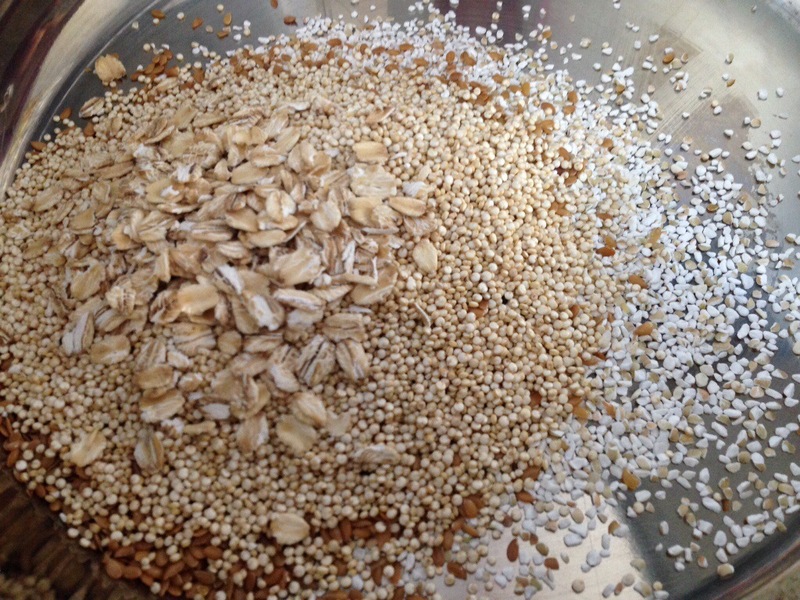 Today I made a medley of flax seeds, buckwheat meal, quinoa, and gluten free whole oats! Or do it Grandma/Granddad style and serve it over a cooked sweet potato. 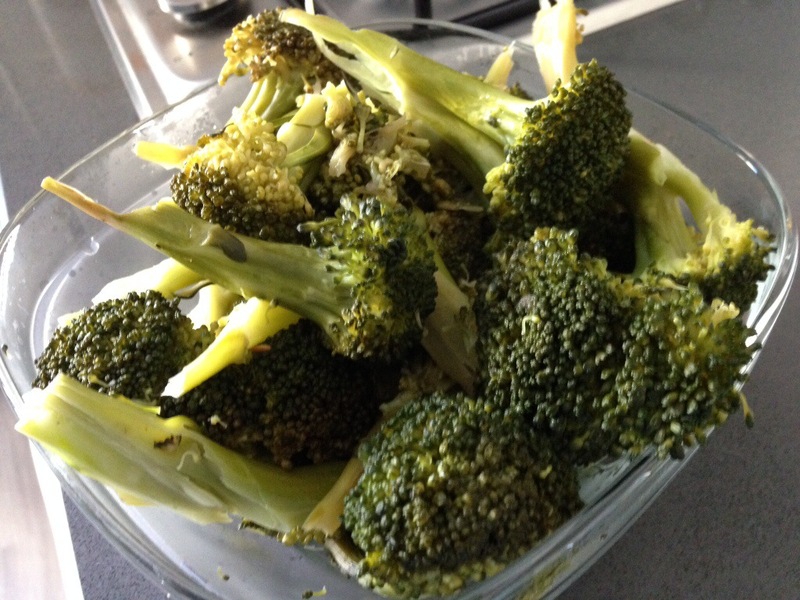 I love the variations you get from this recipe, as the flavors are so rich and savory, that you can pair it with any “bland” healthies that have a texture that pleases your palate! This recipe is so easy, and can be made ahead of serving, as the flavors intensify with time, and it can be easily reheated to serve. 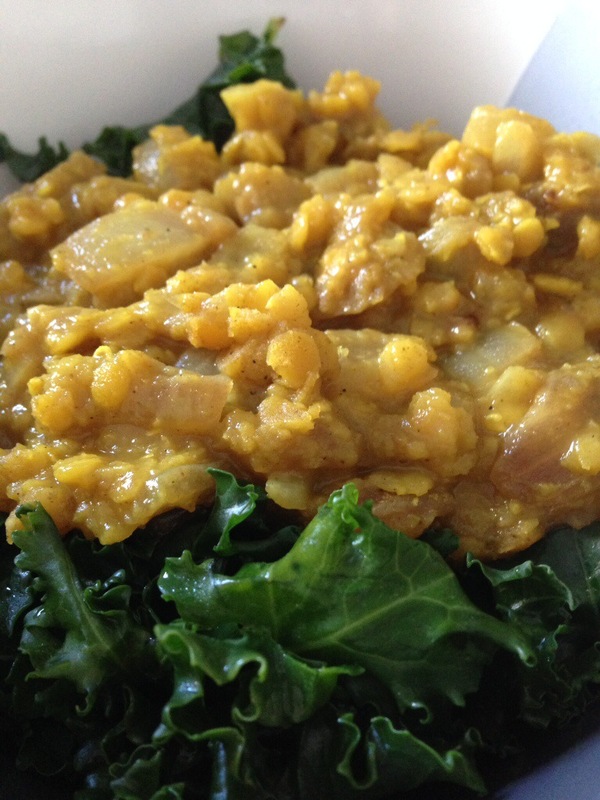 1 cup red lentils ( found in Indian grocery stores and Whole Foods; they are orange in color.) 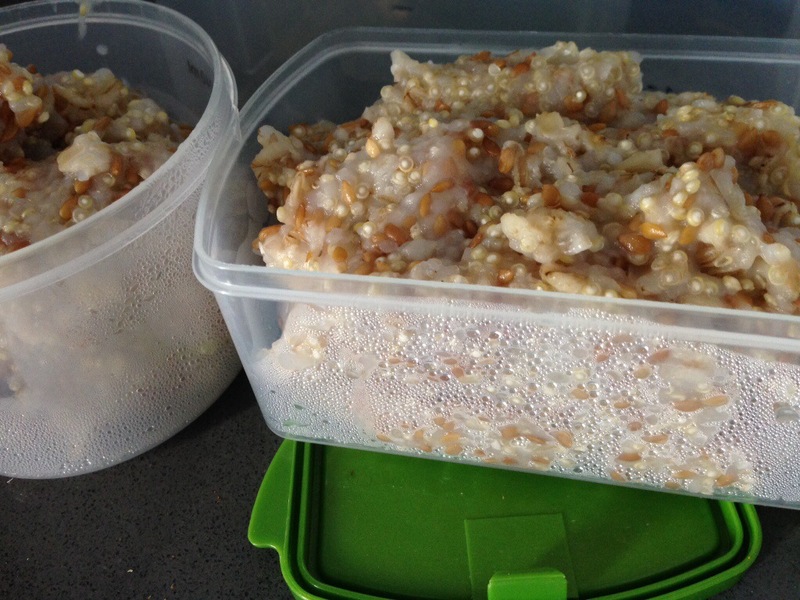 Pick thru lentils, rinse and drain. Bring to a boil, reduce heat and cover to simmer. 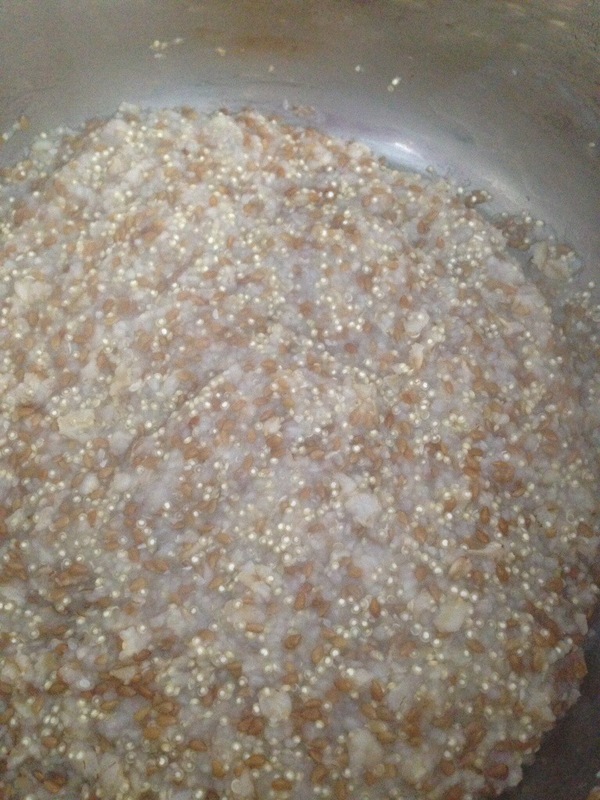 Cook until lentils are tender and beginning to disintegrate. 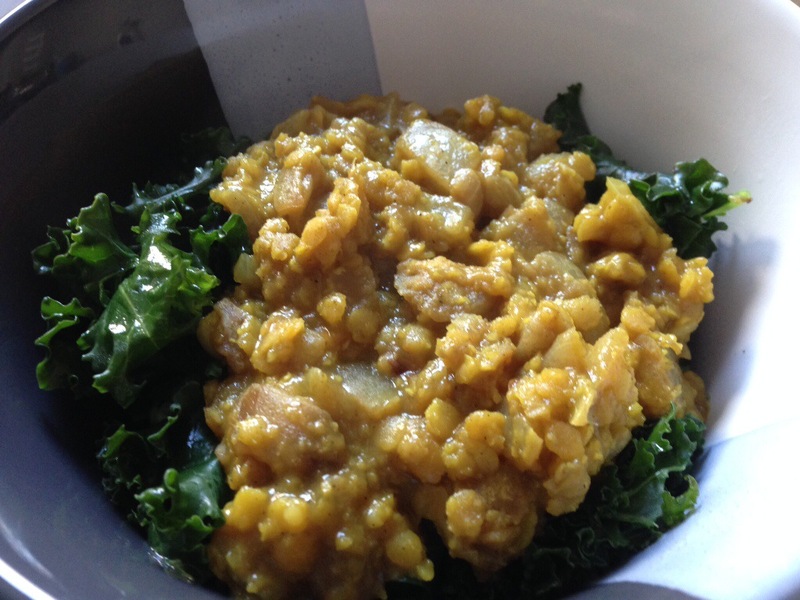 Red lentils cook fast. They should be done in about 15-20 minutes. Add water as necessary to maintain a thick gravy consistency. 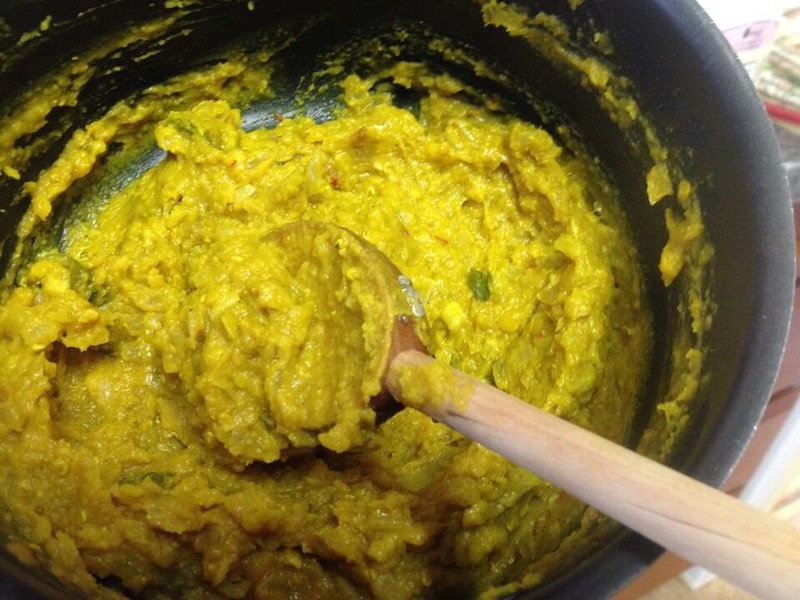 Optional: 2 minced garlic cloves and 2 TBS chopped coriander leaves (or 1tsp ground coriander). 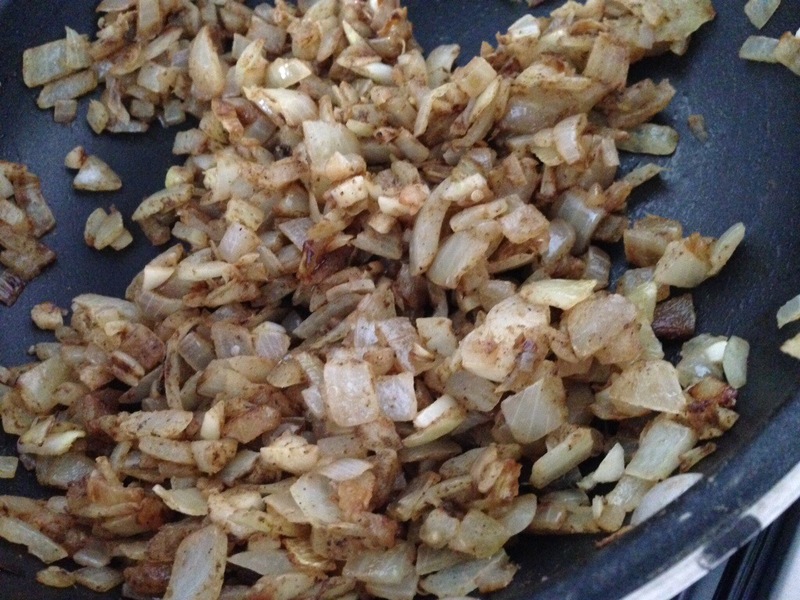 Fry onions until well browned, about 10 to 12 minutes. 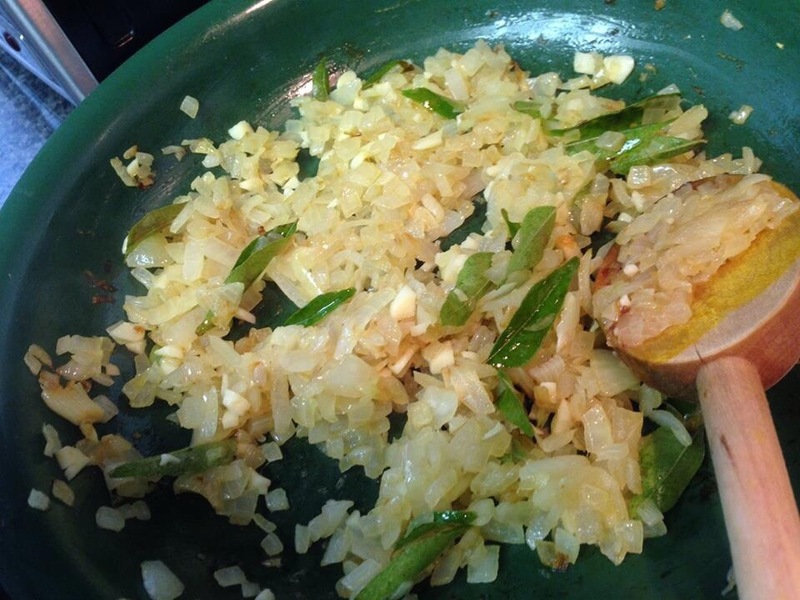 Then add the garlic and fry about 2 minutes. Last add the spices and fry until you get a nice aroma, about one minute (or less). 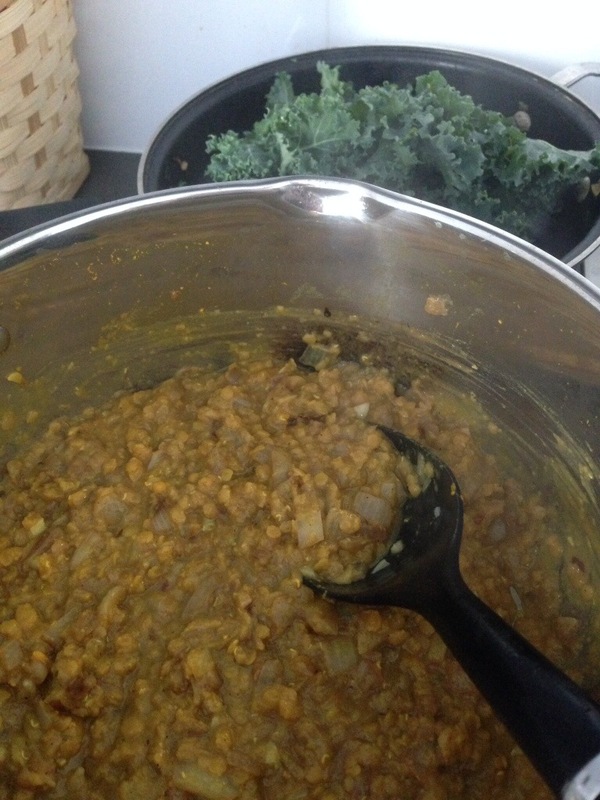 Add onion and spice mixture to cooked lentils and set aside until near meal time. Reheat before serving. 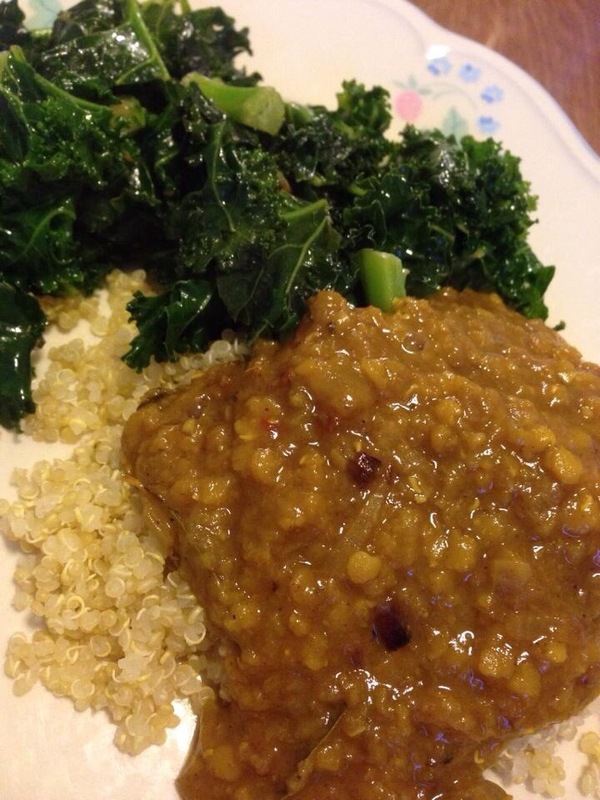 Serve as a sauce over rice/veggies/grain of choice!